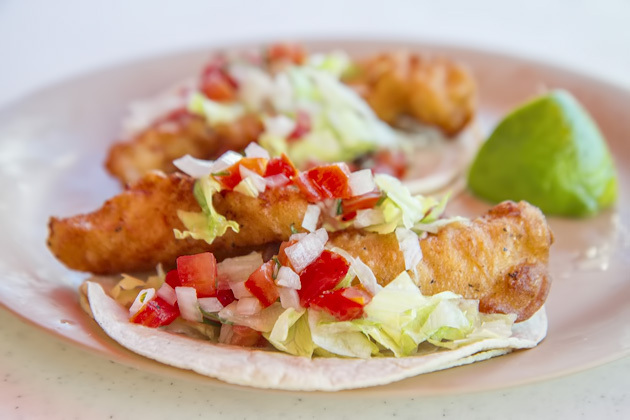 We were introduced to scuba diving almost ten years ago, when we participated in a two-hour beginners-level course offered on a cruise ship. 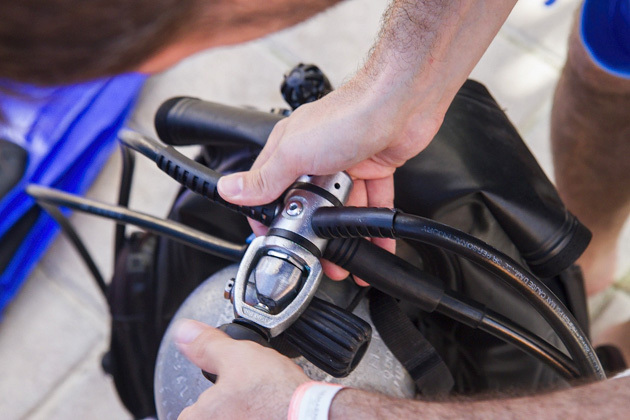 Being able to breathe underwater was an exhilarating experience; the course gave us a tantalizing sample of scuba diving, and we immediately wanted more. But the years passed by, and we never found ourselves in a position to properly learn. Until now. 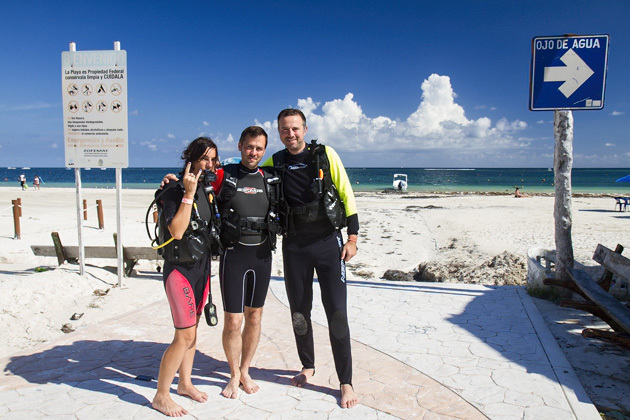 Puerto Morelos was the perfect spot to complete our certification. 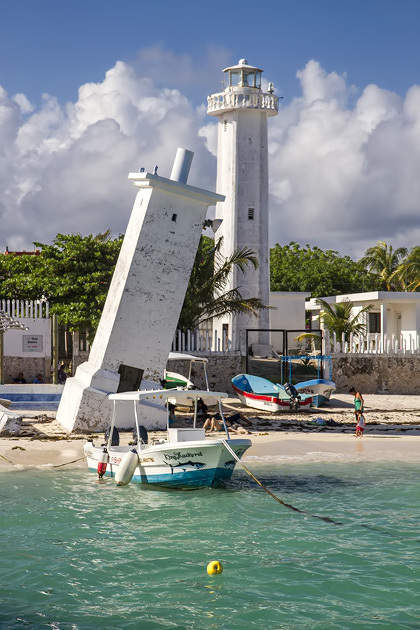 Just offshore is the world’s second-longest reef, and the town itself is peaceful and quiet, ideal for studying. Most importantly, the pros at Wet Set couldn’t have been more helpful. This small shop near the Ojo de Agua Hotel, run by an American/Scottish husband and wife team, boasts a tremendously friendly and qualified staff. Under the watchful, critical supervision of our instructor, Lisa, we went from clueless scuba newbies to certified divers in four days. 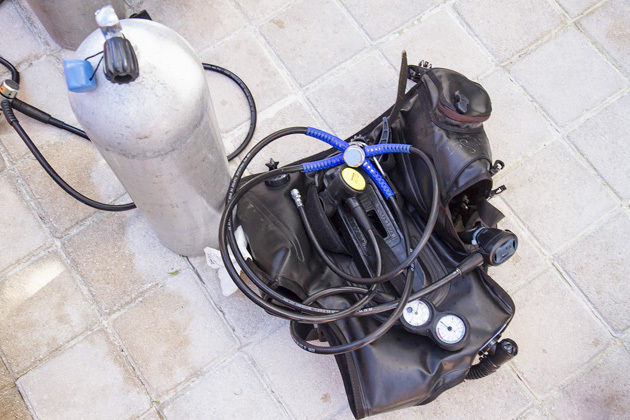 Scuba is a lot more knowledge-based than I realized. There are a lot of facts and skills with which to become familiar. 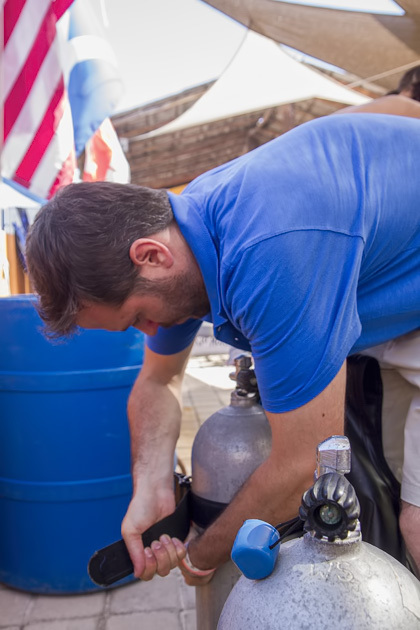 Now that I’m certified, I can tell you what nitrogen narcosis is and, without any problems, could calculate your post-dive pressure group. 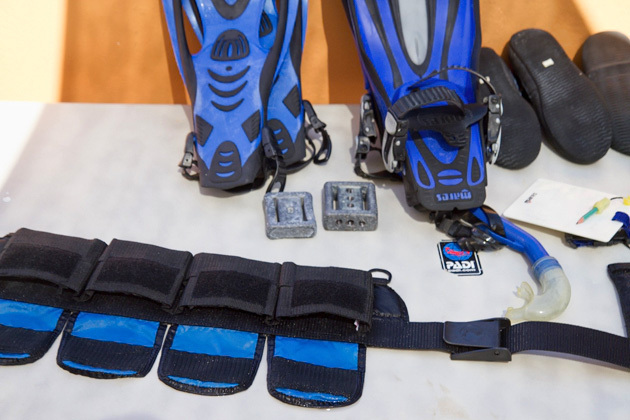 I can confidently assemble your diving equipment and communicate potentially important phrases like “I’m out of air, give me yours”, using my hands. Of course, the classroom was just part of it. A huge chunk of our time was spent in the water, practicing and demonstrating necessary skills. Things like taking our masks off underwater, recovering our regulators, providing air to our buddies, ascending to the surface in one breath, and hovering mid-water without moving a limb. These skill checks were not just important, but kind of fun. 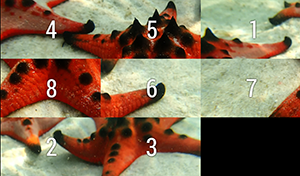 Upon completing each, I felt a little less anxious about diving. It’s a relief when you know that you can now deal with a situation as serious as running out of air. 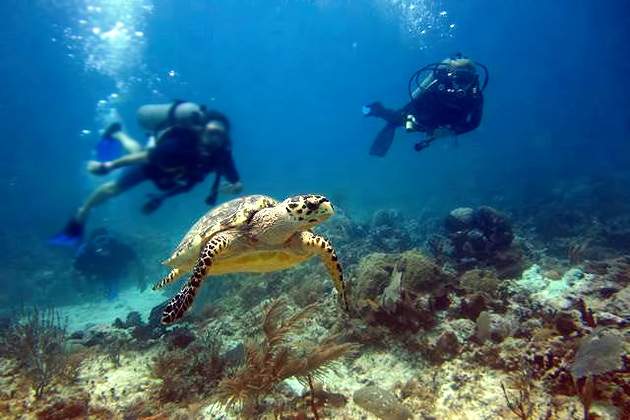 We made four dives as part of our course, visiting various spots along the reef. These initial underwater forays were split between fun and work; we had to practice specific tasks, but also had time to sight-see. We swam past a giant sea turtle, trumpet fish, and even found a moray eel staring at us from his cave. And with each dive, our confidence grew. After four exhausting days, we received our Open Water Certifications with a feeling of accomplishment. 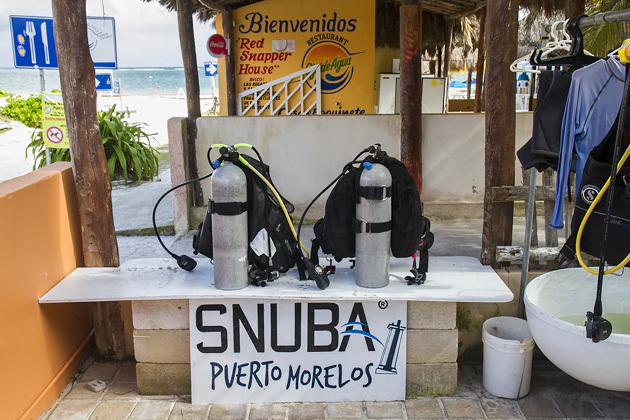 If you’re looking for a great place to learn how to scuba dive, make your way to Puerto Morelos and find Wet Set. 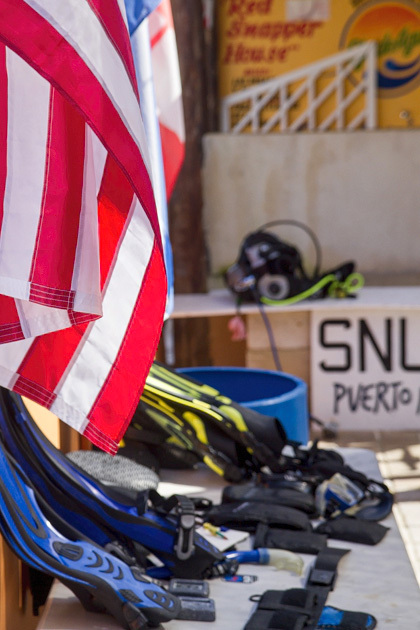 If you’re already certified, they offer good-value dives in various spots along the reef and, for those not into scuba, they do snorkeling, as well as something called “snuba” diving: a hybrid between scuba and snorkel. 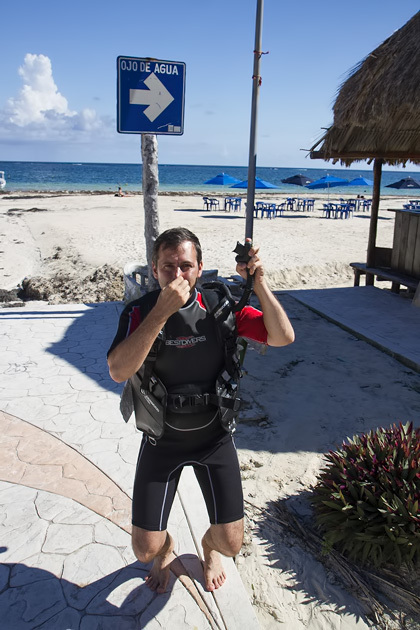 Learning How to Scuba Dive One reason Jürgen and I chose the Yucatán Peninsula as our home for 91 days was our desire to learn how to scuba dive. This is one of the best places in the world to do so. 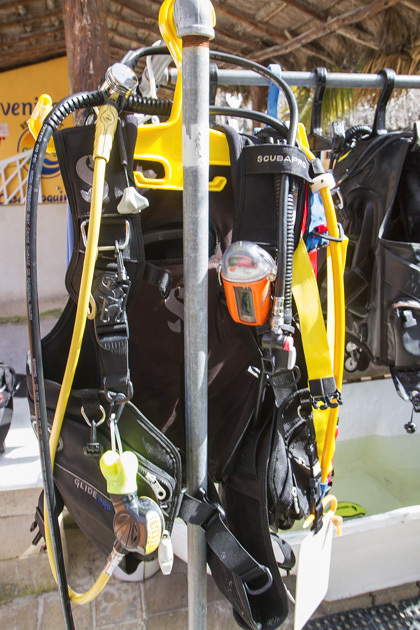 After some research, we decided on the four-day certification course offered by Wet Set, a scuba-diving shop found in Puerto Morelos. Wow, amazing photos. Are you sure you were a newbie? 😀 That’s so good.